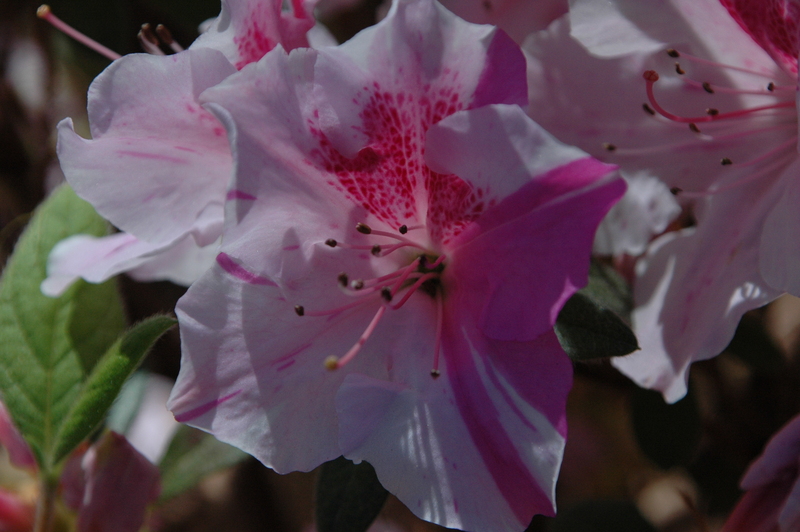 As we near the end of April the gardens are abounding with color from our Encore azaleas. There are so many fantastic varieties but this one really grabs my attention. This is Encore Autumn Twist. I think this is such a fun azalea bloom. It reminds me of something Willy Wonka would have in the chocolate factory where the blooms would taste like peppermints. Our plants are not edible, only a feast for your eyes. Encore Autumn Twist is a fast growing variety with a mature height of 4.5 feet and spread of 4 feet. Beautiful as a mass planting or as a single specimen. I especially love that ours are planted along the edge of the paths where you can really stop to see the intricate patterns and swirls of color on each bloom. If you haven’t had the chance to come by the gardens please stop by and see us. The weather is beautiful this week and we have plenty left in bloom. Till next week…..